I know it’s barely fall, but it’s not too early to think about winter boots. I mean, really, it could snow tomorrow here in the Midwest. Stranger things have happened. Winter boots just so happen to be my favorite footwear. Thanks to my partnership with Shopbop, I am here to share my faves with you, and tell you how you can save major bucks. This post is part of a paid partnership, and I am using affiliate links, but all opinions are my own. Yeah, I am fricken freezing here, but my feet are warm! Shopbop is having one of their biggest sales of the year right now. The Shopbop Friends & Family sale comes at the perfect time with the change of seasons, and with a whole new batch of winter boots. As a person who is always cold, I manage to survive winter if my feet and hands remain warm. Once my feet get wet and cold, just forget the whole day. I’m done. Stick me in a hot bath and put me to bed because I will be useless. Here are some winter boots that I am eyeing to help prevent this situation. Sorel Tofino Canvas Boots: I have to begin with these boots since I own them. I bought these boots about three years ago and still wear them. I’m pretty sure they were the only footwear I wore for an entire winter. These boots are so comfortable, keep my feet dry and warm, and are high-quality. I wear them with skinny jeans, sweats, leggings, yoga pants, and I even wore them with a dress – see here. These boots sold me on the Sorel brand. I will buy their boots any time. I am currently eyeing the Snow Angel. After the 25% off coupon code, they are $75, which is a steal for high-quality boots that last for years. Wedge Booties: I like the look of some of the new fashions in wedge booties. Adding the wedge feels like it makes them a little dressier, plus they make this short girl a bit taller. Wedges are something I can manage to walk in. I am a little in lust with the DKNY Clarissa Wedge Booties, but I would have to try them on. Thankfully, Shopbop has free shipping and returns. Tent Boots: Can we take a moment to appreciate that moon boots are back? 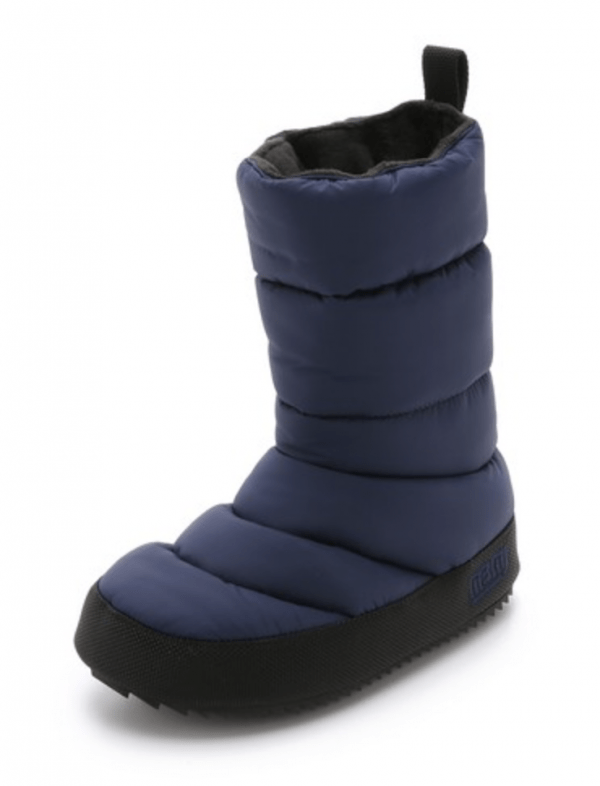 Sure, they are calling them tent boots, but any child of the 80’s knows the truth. 😉 I am not sure I can pull these off, but don’t they look comfy as can be? I don’t know, I think I have to try those Howard Tall Tent Boots. I’ll let you know how it turns out. 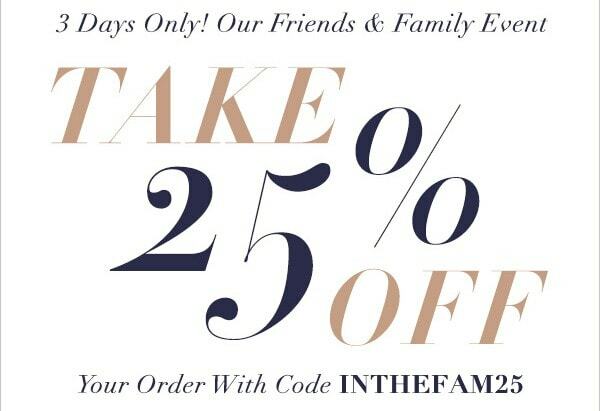 Don’t forget the Shopbop Friends & Family sale does not last long, and there are some restrictions. The 25% off coupon code is HUGE for Shopbop. You can always check HERE for current Shopbop coupon codes. Get some quality winter boots now. Your feet will thank you. Which winter boots from Shopbop are your favorite? LOL! I guess they look a little less poofy than the originals. 😉 I know! I want some too!! My feet are always cold. I have Sorels and love them, but nothing keeps my tootsies as warm as my Uggs do. With the cold weather here in the northeast I need a pair of boots to keep my feet warm. The wedge boots look like something that would be great for me. Those boots look fantastic with that dress. I like the Wege Bootie. These look super comfy, all of them. I’m in need of some new boots come winter which is really coming fast! 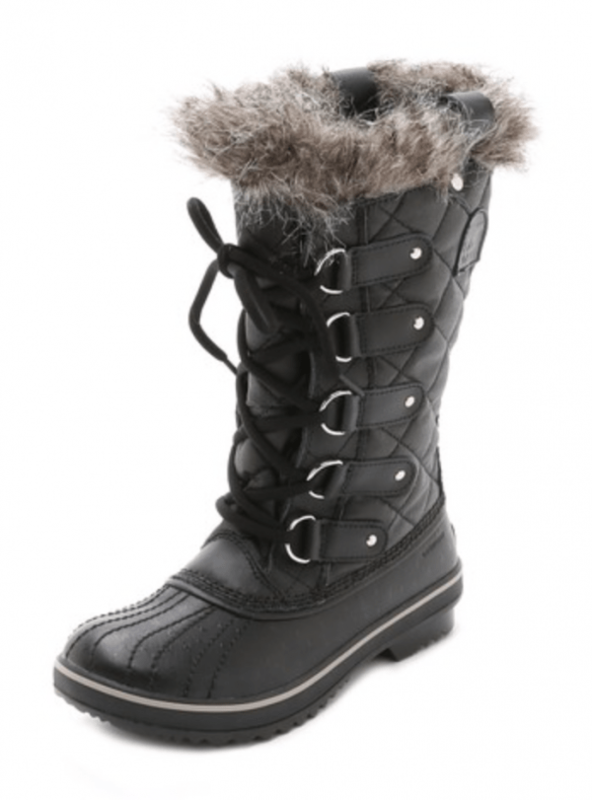 I have a pair of Sorel’s at the top of my shopping list! They are the way to go for sure when it comes to winter boots! These boots all look so cute. I love boots with fake fur on the inside. I love the very first boots. Any boots with fur I usually love. I love to see a great deal on items, so I’ll have to check these out. 25% off is a great deal! I love the boots you picked out. Having a comfy and stylish pair of boots makes snowy days so much better. These are great styles of boots. I like the first pair the most. I need to go boot shopping for the winter. I like the black boots with fur trim the best. Though the other styles are cute too. That first pair is totally my style! They look so comfy and tall enough for all the snow we get! OMG – I loved all of these styles. Too bad the temps aren’t cold enough to enjoy them here in Texas. I love your dress too! I have the Sorel Tofino Canvas Boots, and they are so warm! The lining is soft and really helps keep my feet warm. I want to get a pair of the tent boots or moon boots. I think they are adorable! Those boots are super cute. I appreciate the review because now I want a pair. I love those DKNY Clarissa Wedge Booties. They look so soft inside! All these boots look warm enough and comfortable. My favorites are the second and third ones. They all look so cozy. If only we had snow in Florida! I’d love to rock the first pair!